Tillyfar Garage, Turriff have been recovering vehicles from Aberdeenshire for more than 30 years, we have a fleet of specialist vehicles available 24 hours a day 365 days a year. 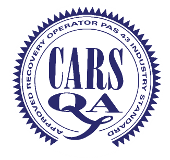 All technicians have been fully trained in the safe and damage free removal and transportation of vehicles. We carry out services for insurance companys, trade and private customers. We can recover anything from a scooter to a fully loaded 3.5 ton van from any location. If you have had an accident or broken down and need assistance, we can either transport your vehicle back to our base or we can forward it on to a destination of your choice. 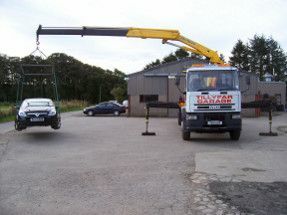 As we are located in rural Aberdeenshire, we also operate a fully equiped vehicle fitted with lorry loader crane. This is used in the removal of vehicles from accident scenes giving the operators the ability to totally lift vehicles that are immobilised off of objects, from behind walls and hedges or simply in too badly a damaged state for normal techniques. Using our own purpose designed motorcycle unit incorporating a damage free securing system, easy loading, makes just about any bike from a 50cc scooter to a 1200 tourer, quick, safe, to pick up and move. In the event that your accident damaged vehicle is unrepairable we can hold it in our secure storage compound awaiting collection from your insurance company's salvage agent. Whether your vehicle has been involved in an accident, requires minor paint or bodywork repairs. Our experienced team can manage all aspects of your car's repair. We can prepare a computer estimate while you wait on our premises, with no need to book an appointment. We carry out repairs to private and trade customers, major insurance and management company's. We will repair your car according to manufacturer guidelines, to ensure it looks as good as the day it left the showroom. we aim to make the repair process as stress-free as possible. If you are claiming on your insurance, we can handle the claim for you, ensuring a fast and efficient service to get you back on the road quickly. Once your car is in our bodyshop, our trained technicians use only approved parts and repair techniques. We can match paintwork for any make and model, so the repair work becomes invisible restoring your car to its original condition. 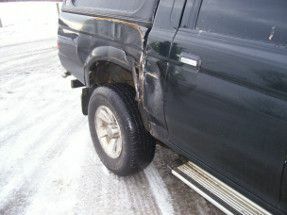 If you are claiming the cost of repairs on your insurance, simply pay us any excess and we will take care of the rest. Courtesy cars are available to ensure while your car is in for repair you are not inconvenienced in anyway. More often than not, insurance companies direct policyholders to use their 'approved' bodyshops to repair your vehicle. In fact, you are not obliged to. Insurers influence policyholders to use their repairers as it is more cost effective for them. However, they may dictate the level of service and repair you will receive and whether non genuine parts are used in the repair. If your policy holds a contractual clause that you MUST go where you are told it is essential, for this to apply, that it was made very clear to you at the outset of the insurance contract.